Ever fumble through your purse or wallet in a dark bar or mood-lit restaurant, looking for the right bills with which to pay? Or at the least: do you find yourself flipping through to find the right denomination? 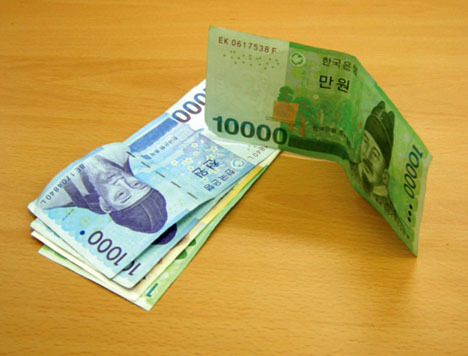 Jaesik Heo, Hojoon Lim & Dahaeng Lim have come up with a simple, cheap and easy solution that lets you grab the correct bill with ease and spot errant cash before it slides down between your sofa cushions. 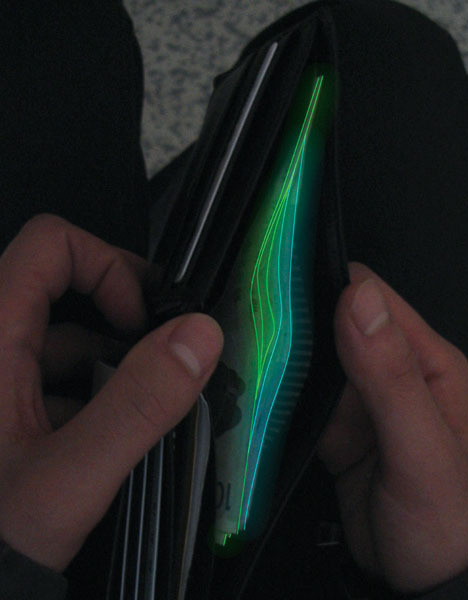 Green is the classic color of American money, but it is also the default for glow-in-the-dark designs. It was only a matter of time before somehow had this ingenious idea to fuse the two concepts into one creative and functional alternative to standard currencies – with slightly varied hues to allow people easy identification between denominations. 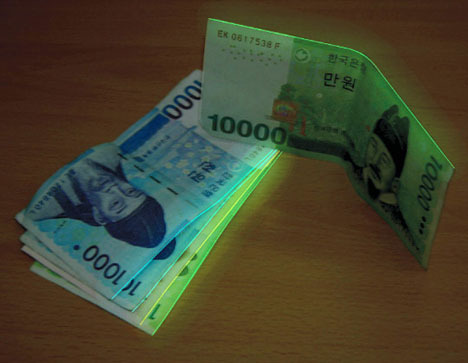 There are already so many intensive design elements in the cash we carry delay, from highly specialized paper and inks to embedded metal strips, holograms and other optical illusions – adding a little glowing strip to the sides should not be too much trouble, right? The problem with printing these from a governmental perspective is probably security-related: after all, you could spot these at quite some distance, which might prove dangerous in some circumstances (such as someone walking down the street late at night with a bill or two tucked in their pocket).